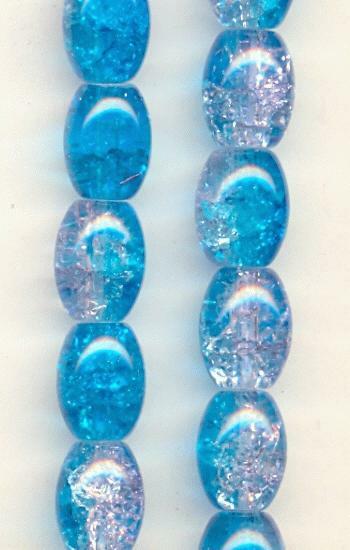 Price listed is for each 31 1/2'' strand of beads. These are 11/8mm clear/pale lavender/capri blue glass crackle beads. Each strand should contain about 76 beads.